Arrive Beijing at night, met and transferred to hotel. Visit Tiananmen Square– The largest city central square in the world, is not only the symbol of Beijing but also the symbol of China. Forbidden City– the world’s largest and best-preserved imperial palace complex. Surrounded by a moat that is six meters deep and a ten-meter high wall are 9,999 rooms – just one room short of the number that ancient Chinese believed represented divine perfection. Visit Temple of Heaven–the largest group of structures in the country dedicated to rituals that pay homage to heaven. This temple was built specifically for the worship of heaven and prayers for good harvests during the time of the Ming and Qing Dynasties. Roast Duck Dinner. Visit Great Wall (Badaling Section)– one of the eight wonders of the world and is the only man-made structure that is visible from the moon. This immense wall was built to keep out invaders as well as to retain the inhabitants. Visit Ming Tombs of Changling—one of the burial site of 13 ancient emperors. Visit Summer Palace, Lama Temple– the largest and most perfectly preserved lamasery in present day China. Afternoon flight to Xi’an. Visit its impressive City Wall. Visit Terracotta warriors, the most significant archeological excavations of the 20th century. Upon ascending the throne at the age of 13 (in 246 BC), Qin Shi Huang, later the first Emperor of all China, had work begun on his mausoleum. It took 11 years to finish. It is speculated that many buried treasures and sacrificial objects had accompanied the emperor in his after life. A group of peasants uncovered some pottery while digging for a well nearby the royal tomb in 1974. Visit Banpo Museum. Visit Wild Goose Pagoda and Provincial Museum. Afternoon flight to Chengdu, visit Panda Research Base. 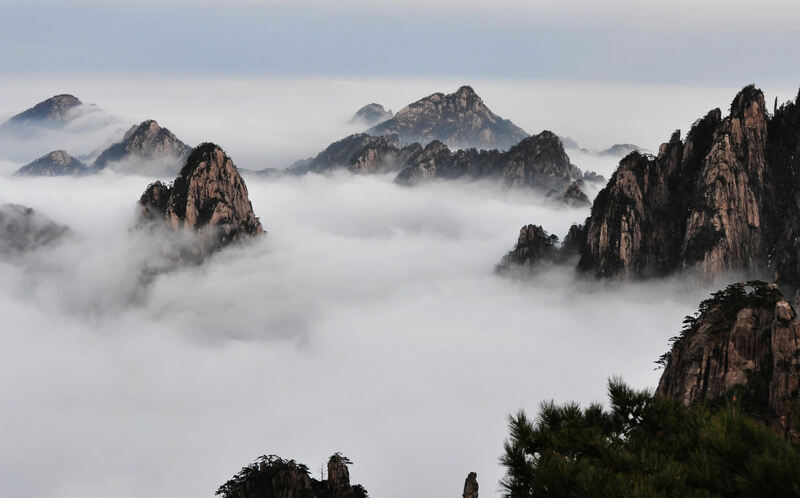 Whole day tour in Jiuzaigou Valley which is famous for its five wonders, the emerald lakes, the layered waterfall, colorful forest, snow-capped mountains and Tibetan and Qiang customs. Water is considered as the spirit of Jiuzhaigou Valley. 114 lakes here are located in three gullies in a shape of “Y”. No words can be used to tell its beauty. Morning flight back to Chengdu, transferred to Dazhu (4 hours). Visit the Dazu Rock Carving which is listed by UNESCO as a world cultural heritage site in 1999. There are more than 50,000 Buddhist, Taoist and Confucian rock carvings and 100,000 characters of inscriptions dotted around Dazu. The work of Dazu Rock Carvings began in the Tang Dynasty (650A.D. ), and continued until the Ming and Qing Dynasties. Afternoon drive to Chongqing (3 hours). Chongqing, called as the “Mountain City”, is one of the China’s biggest municipality as well as one of the very large cities in the world; the hub of water, land, and air transportation in Southwest China with busy rivers and highways radiating in all directions; and an inland river port with foreign trade in the west of China. Visit Goose Neck Park, Porcelain City. After dinner transferred to board on “Yangtze Paradise” to start the Three Gorges exploration at 22:00. Today you will have land excursion to Fengdu Ghost City. Fengdu, with fantastic temples of underworld demons and gods, is constructed on the Mingshan Hill by the river band. It is known as the “Ghost City” and is a place for punishing the devil and awarding the good. Today you will have land excursion to Shengnongxi Stream and Dam Site. The Shennong Stream Special Rafting Tour covers 20 kilometers. During the rafting tour, you might see large and small karst caves, home of many swallows, a world of high cliffs, deep gorges, flying waterfalls, three-colored springs, the ancient trestle path the suspended coffin in the cliff, the groups of ancient tombs and marvelous karst formations. Startled swallows swoop overhead, fish swim about in the depths of the water and monkeys play on shore. The dam site is 27 miles upstream from Yichang City proper, at Sandouping Town, 38km upstream from the Gezhouba Dam Lock, inside the third of the Three Gorges. Arrive Yichang at about 13:00, met and transferred to take flight to Shanghai, called “Hu” for short, Shanghai is a bustling metropolis located at the mouth of the Yangtze River. Visit Yu Garden and its market, the Bund, Nanjing Road, Pudong New Area, Oriental Pearl TV Tower (up to its second sphere). Visit Shanghai Museum, afternoon flight to Tunxi. Visit its Ancient Street. Morning drive to the Yellow Mt. (1.5 hours), take cable car up to the mountain (7 minutes). Afternoon sightseeing to the Paiyun Pavilion, Dream Area. Get early to see the Sunrise. After breakfast visit Flying Peak, Bright Summit, Lion Peak, Shixing Peak, Scenic of Brush Flowering in a Dream etc. After lunch take cable car down. Then drive to Hangzhou (4 hours). Boat ride on West Lake, Huagang Park, visit Peak Flying from Afar and Linying Temple, go to Tea Village to have a cup of best green tea in China. Morning flight to Kunming, visit West Hill, Dragon Gate with sightseeing van, Golden Temple and Flower market. Morning flight to Lijiang, Visit Black Dragon Pool, Old Town, Sifang Street and Ancient Summer Palace of Local Master. Dinner on your own so you can go to taste the local food. Visit Yulong Snow Mt., Yunsan Plateau (cable car up and down), Dry Sea, White Water River, and Beisha Murals. Morning flight back to Kunming to catch flight to Guilin, Visit the Elephant Trunk Hill, Reed Flute Cave Park. One day tour to Longsheng to enjoy its amazing terrace scenery. Longsheng’s terrace gets the title of “the Champion of the Terrace World”. These terraced fields were first built about 800 years ago in southeast of Longsheng County. About 66 square kilometers rice terraces are built into the hillsides. It looks like great ribbons or chains that wind from the foot to the top of the hill. This ingenious construction not only makes the best use of the rare arable land and water resources in the mountainous area, but also forms a marvelous spectacle. Morning flight to Xiamen, visit Gulangyu Island which is renowned for its delicate natural beauty, its ancient relics, and its varied architecture. Only electric-powered vehicles are permitted on the island, so the environment is free from the noise and pollution. Transferred to take train (soft berth) to Nanping at about 19:00. Arrive Nanping at about 06:30, after breakfast transferred to Taining (4 hours), appreciate the the best maintained houses of the leading scholars in the Ming Dynasty and those magnificent ‘Buddha views’ on the crescent shaped Dajinhu Lake. The Taining grottoes are famous as living fossils from the days when humans lived in caves. Take rafting on Shangqinxi Stream. After lunch drive to Fuzhou (5 hours). Visit Fuzhou National Forest Park, one of the ten national forest parks of China. Rare animals and exotic plants, blue water, flowing waterfalls, unusual rocky outcrops and stone carvings coexist in a harmonious blend of natural and manmade sights. West Lake Park, situated in the northwest of Fuzhou is famed for its similarity to West Lake in Hangzhou. Afternoon flight to Guangzhou. Visit Dr.Sun-Yet San’s Memorial Hall, Yuexiu Park, Temple of Chen Clan Family. Transferred to catch flight departing Guangzhou in the afternoon.